Poor Mudflap. No one liked you but everyone wants you, yet nobody can find you. Oh the irony! 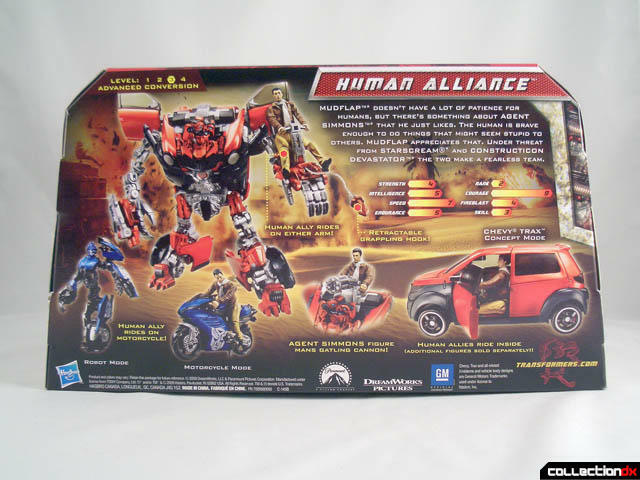 The Human Alliance line is a larger scale of Transformer that has more complex transformations akin to the Alternator/Binaltech releases. These releases are more screen accurate than previous Voyager or Deluxe class releases, have interactive play features, and include a human driver. 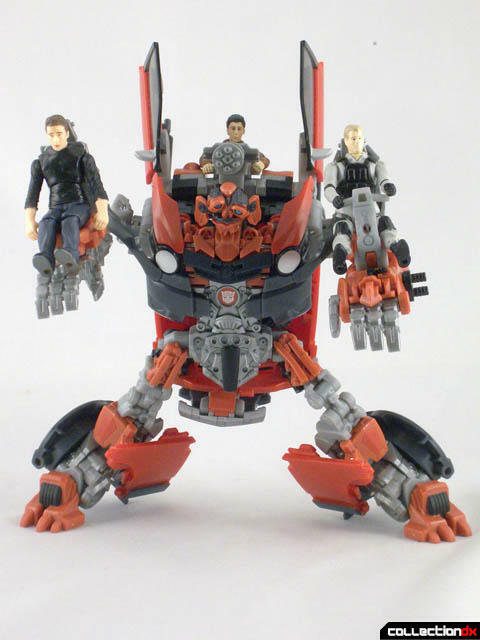 Mudflap (being a smaller car and robot) comes with Agent Simons and a bonus transforming robot, the Autobot motorcycle Chromia. 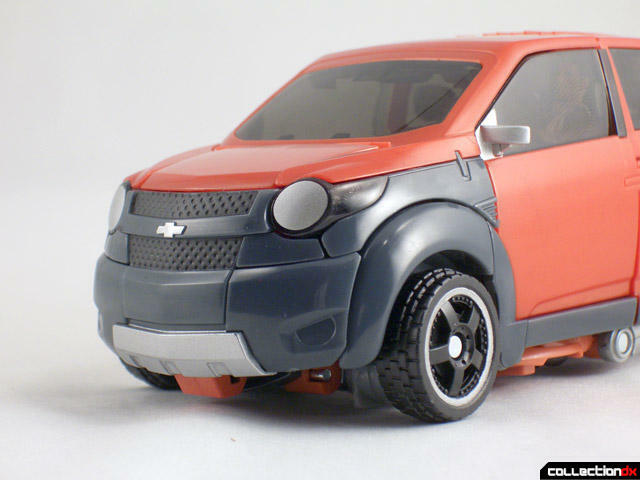 Mudflap transforms into the SUV concept version of the new Chevy Trax. 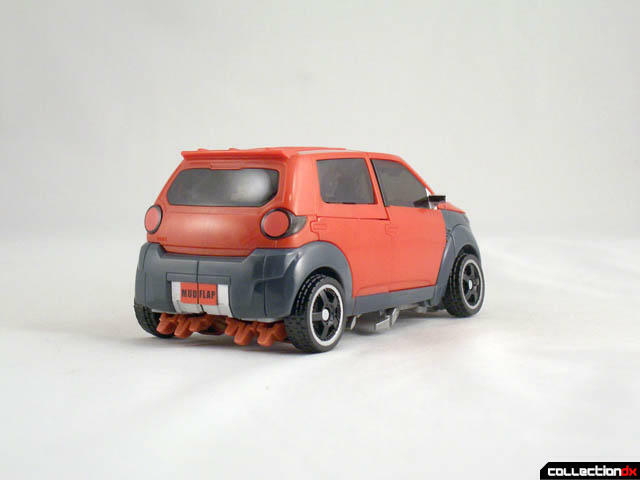 His car mode is a solid vehicle mode with free rolling wheels, opening doors, and minimal panel lines. 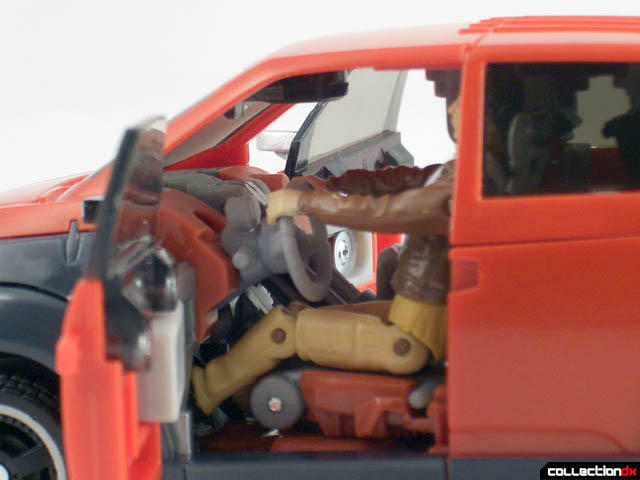 The cockpit accommodates two of the Human Alliance size figures. Pegs on the upper seat fit into plug holes on the back of the human figures to hold them in place. 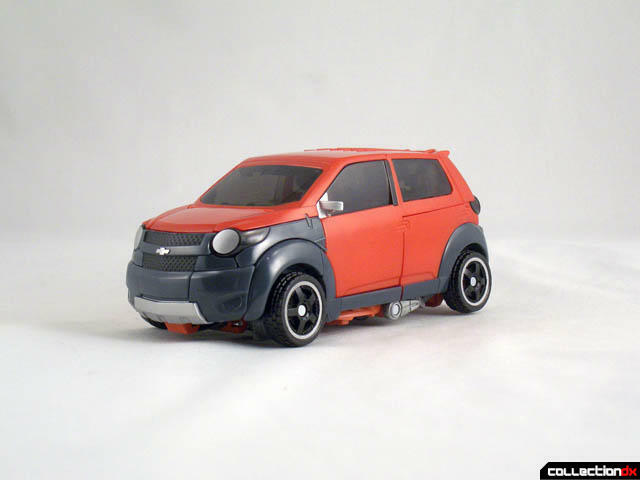 Transformation on this release is a level 3 and going from car to robot mode is fairly easy. Hasbro’s included instructions are clear and understandable, and I had no problems transforming it the first time. Robot mode on Mudflap is good. 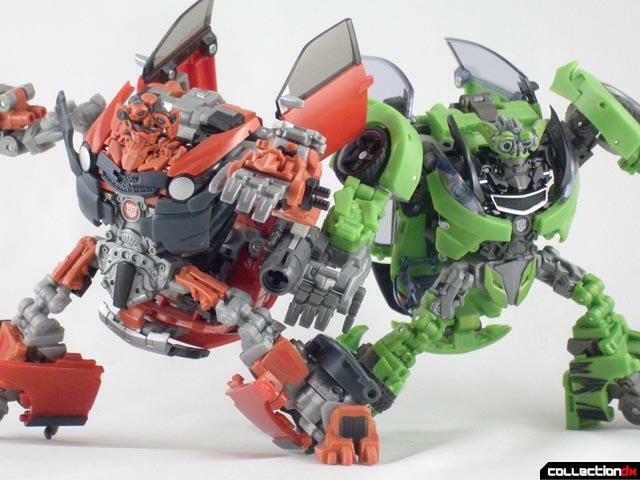 Although he is an all new sculpt his transformation, shape, and size are almost identical to his 'twin,' Skids. 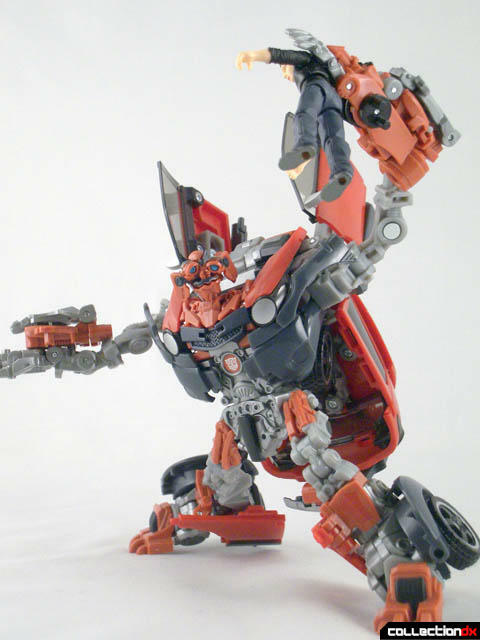 Articulation on Mudflap is more than adequate with an excellent range of motion and articulation in his arms and legs. 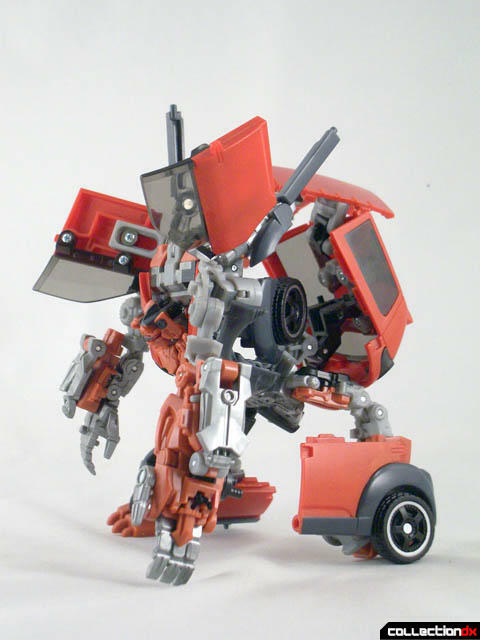 Mudflap features a waist joint, however, the design of the transformation prevents it from moving much. My only nitpick is the same as Skids. He’s a bit of a shell former, carrying the bulk of the upper back part of the car on his backside. Collapsing panels do, however, minimize the overall effect a bit. His head rotates, and if you push down on it it will make the lower jaw move, simulating talking. 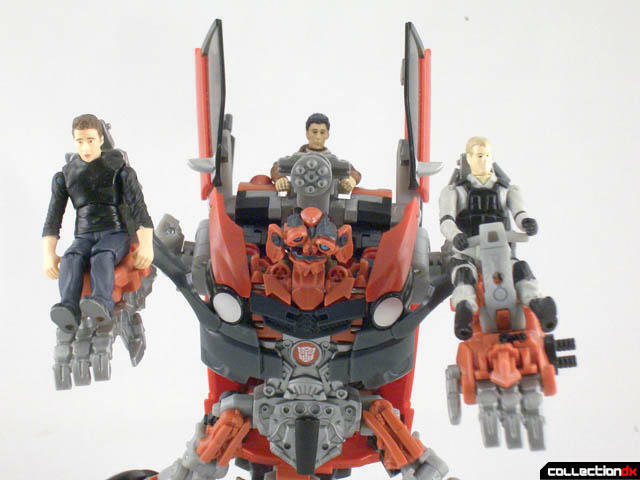 All of the Human Alliance releases feature several play points for the figures to ride the transformer into battle or man a weapon of some sort. What I love about these play features are they pack a lot of "play value" into these but do not clutter up the look of the robot for adult collectors. It really is the best of both worlds. The included Agent Simons figure is fairly generic looking but paint applications are neat and clean. Lucky Sector 7 bikini briefs are not included. Chromia is pretty much a piece of junk. It makes a decent motorcycle but a sucky robot. 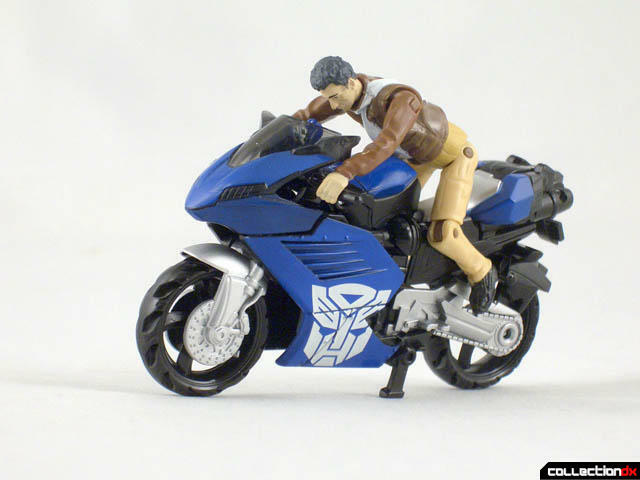 I liked the motorcycle designed robots as they appeared in the movie, but Hasbro's attempt at a cheap, little toy is pretty bland in robot mode. While the arms move there is not much you can do with it otherwise. It was a nice Hasbro included it but I would have preferred they shaved 5 bucks off the price then try to "hold" the price point by including it. No biggie, just a nitpick. Confession time. I paid far more than retail for this to complete my Human Alliance set (yes I have them all.) I don't really know what the story is but Mudflap was incredibly short packed when released early this year and has remained impossible to find on the shelves. It is very ironic considering how much hate was spouted over this character when "Revenge of the Fallen" hit theaters. You know you’re out there; someone has to buying these up as they hit shelves... hypocrites. It's a solid transformer, a good Human Alliance release, and looks good with the rest of the set but it's for completists only, or closet Mudflap fans. If you can find him at retail it's worth picking up but not worth the collector price it’s been getting. 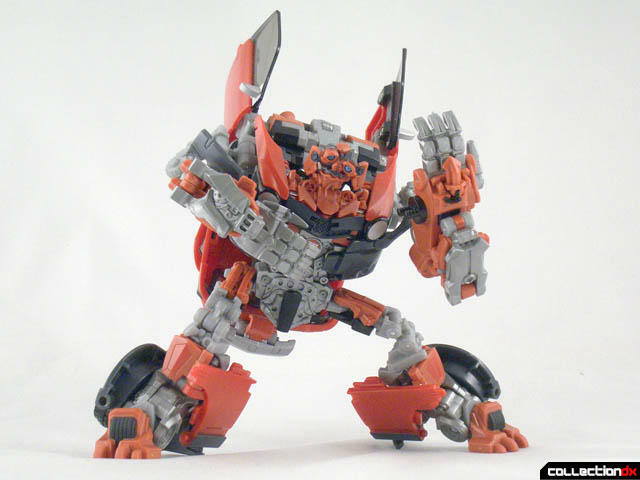 Great looking robot mode but I just want to decapitate that ugly head of his. 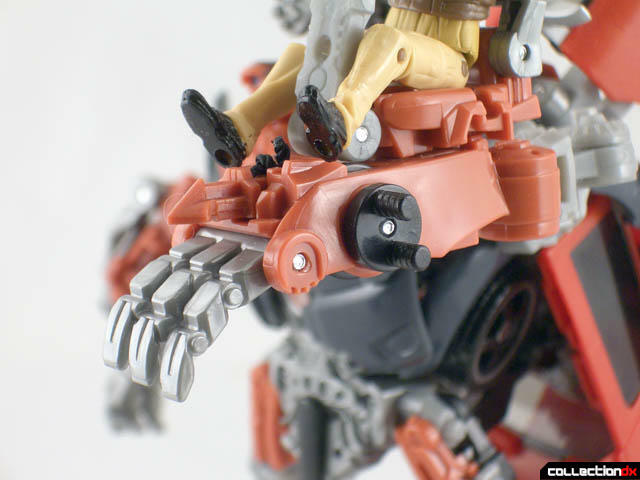 I thought Skids was the better-looking robot of the two... except for his head, of course. That rusty brown look on Mudflap just didn't work well with the gray, whereas on Skids the neon green was nice, and the car mode wrapped around him nicely. Simmons was my favorite character. 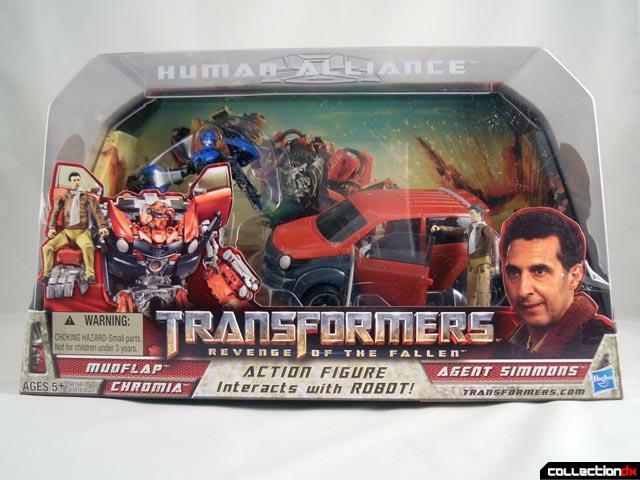 Too bad they don't sell the humans seperately,because while I wasn't offended by the character (none of the Autobots could read the hyroglyphics),he was ugly and stupid. 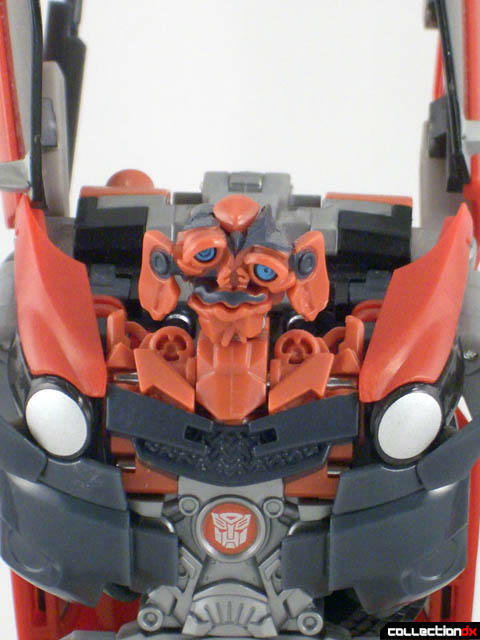 IMO a TF who looks worse than the ones I already own isn't worth more money than I spent on the others. 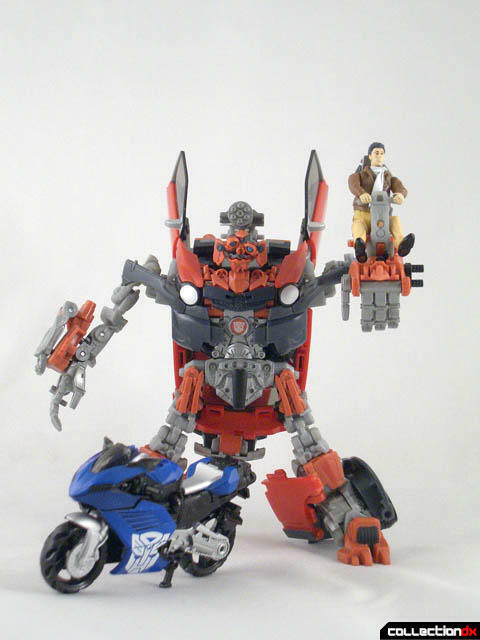 I mean,you could hypothetically spend 30 and get the awesome WFC Optimus and Soundwave,or spend 30 and get Jar Jar and a "robot" that just looks like a broken motorcycle. Atom,as far as the "hypocrites" who complained yet bought the toy anyway,that's just how nerddom operates. Once these people started collecting movie TFs,they're collecting them all,damnit! Whether I like them or not! They leave the theater,and use their phones to post to tfw2005 about how much they hate Bay while on the way to FYI to preorder the DVD. People sometimes act like I'm wierd for cherry picking. I don't really collect a certain line first and foremost,I just buy the Star Wars figures I want,the Joes I want,TFs I want,etc. I think it's wierd to just buy everything a company puts out so you have a "set" regardless of how much you want it. It's the same as people who still read Amazing Spider-Man. It's funny how everyone dropped the title,yet sales were so high it had to come out more often. How's that work? Everything you guys just said about nerdom hypocrisy is so incredibly true as far as this subject's concerned. It seems to me that contradictions has become a moderation of the norm nowadays but has it always been one? Anyway, all the power to those who really didn't complain about Muddy and owns it. I can honestly say that I horrendously dislike the design's cheesiness, but that doesn't mean that I loathe all of them. 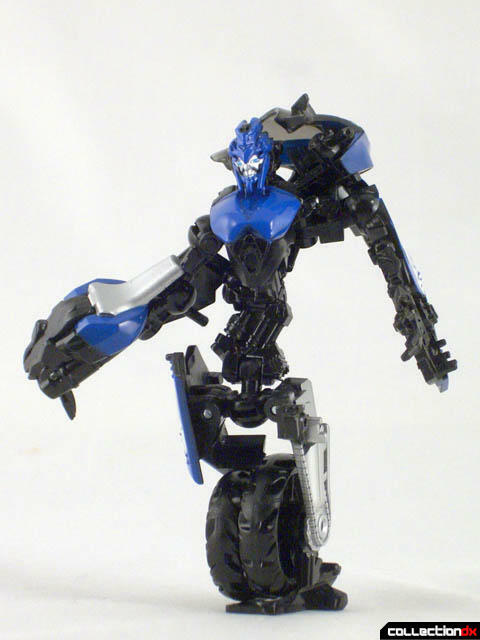 The only movie bots that stood out for me in the toyline ONLY are Protoform Prime and Screamer, ROTF Thrust, Dirge, Breakaway, Mindwipe,Brawn and Bludgeon because they're cool looking and their aesthetics are on par with the War of Cybertron designs which I love all of them as much as the video game. I was at tj maxx before christmas and they had loads of these and bb ha's so I postponed my purchase. Went back after and they were all gone. They had them at 19.99 each too!